Smoked almonds are a Bates Nut Farm favorite. Roasted almonds flavored with smokehouse seasoning. These California almonds are roasted and seasoned with natural hickory smoke flavor . These are a customer favorite, popular because of their fresh taste, toasty flavor and nutty brown color. High in fiber, protein, zinc, potassium, phosphorous, and iron, our smoked almonds are the smart alternative to snacks that are high in calories & fat, and low in nutrition. Serve at your next party or enjoy them as a snack. 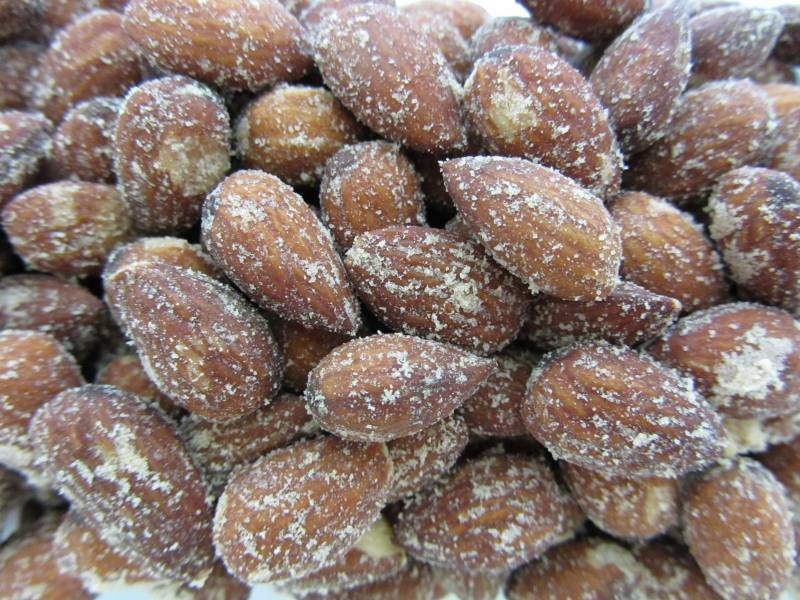 Almonds roasted in almond oil or safflower oil, Salt, Dextrins, Natural Hickory Smoke Flavor, Yeast, Hydrolyzed Vegetable Protein, MSG, and Flavorings.